Reef Entertainment is working on a new Terminator game inspired by the 1984 and 1991 films. Duh duh duh duh duh. Duh duh duh duh duh. To the laymen that the above string of "duhs" might look nothing but a waste of space. To the Terminator fan however, it's the staccato beat of the film series' iconic score, music that brings to mind images of an apocalyptic future where shotgun toting Austrian cyborgs travel through time to destroy/save humanity. 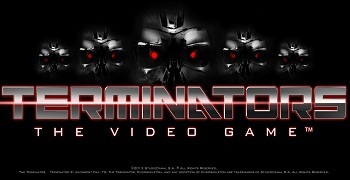 We bring this up, of course, because UK publisher Reef Entertainment has revealed it will be backing new videogames based on the Terminator license, starting with the newly announced Terminators: The Video Game. "Here at Reef we are huge fans of 1984 & 1991 Sci-Fi action master-pieces" said a Reef spokeperson. "It's an incredible opportunity and an equally huge responsibility to create a game that does great justice to the motion-pictures. We are studying all aspects and influences of the Terminator universe defined in Terminator and Terminator 2: Judgment Day." Reef's licensing agreement grants it specific console and PC rights to the first two Terminator films. Looking at Reef's current library of releases there isn't much in the way of big name or prominent titles. That being the case the publisher's focus on the original Terminator and its sequel (a.k.a. the greatest action film ever made) is somewhat heartening for the long suffering franchise fan. Granted, this announcement can't erase the past two film sequels or make up for the fact that Arnold Schwarzenegger is probably going to look ridiculous in the reboot. That said, if a new game can harness even a fraction of the old awesome, it'll be something to be happy about.